If you've explored the best American ski resorts, you'll want to visit the best ski resort in Chile. If you crave the fresh, South America is the perfect venue for a summer ski trip. Portillo is the top ranked Chilean ski resort by many websites including PowderHounds, a go-to website for many snow birds. Portillo has terrain suitable for all levels, making it a highly desired ski resort in Chile. Portillo offers a stunning resort with a variety of activities to keep the whole family entertained including welcome cocktails, a torchlight parade, yoga, kid's races, and games. Numerous restaurants, a fitness center, and world class service make Portillo a skier's haven. Valle Nevado is South America's largest, 7,000 acre, ski resort, and it doesn't disappoint. The resort was ranked a top Chilean resort by PowderQuest, and CNN Travel highlighted Nevado's slope, the Eclipse/Luna run as the 63rd best ski run in the world. The resort offers a beautiful terrain over twenty runs, accommodations ranging from high end hotels to cozy apartments, and a wide range of activities such as a lively nightlife, gourmet dining, and shopping. Some reviewers hail Valle Nevado to be the best ski resort in South America. 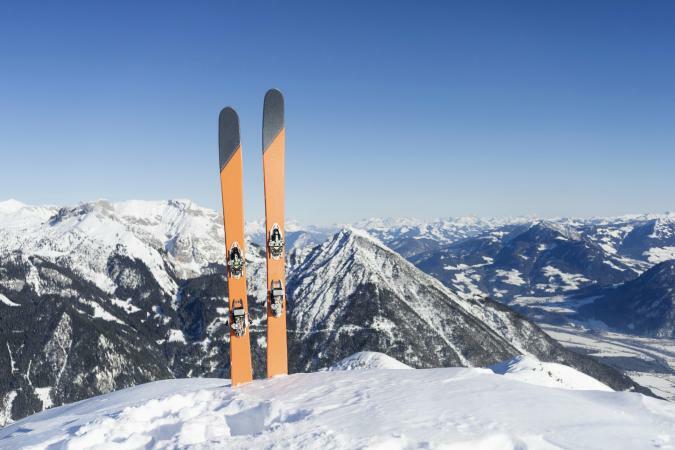 A mountain tailored to advanced skiers and snowboarders, Arpa offers gorgeous free-riding, groomed slopes, and terrain parks. The World Snowboarding Guide ranks Arpa as the 49th best resort in the world and the 8th best resort in Chile. For a multi-day trip, Arpa partners with three beautiful, high-end hotels with meal provisions. What makes Arpa so unique besides the beautiful landscape is the resort has two PistenBully snowcats that transport skiers to the best skiing. The travel app company, Culture Trip ranks El Colorado as a top ski resort destination in Chile. The resort is consists of 22 trails over 1,110 acres that can accommodate all ability levels. El Colorado offers excellent hotels, cuisine, and ski lessons for all ages. Chilean Ski ranks El Colorado just under La Parva and Valle Nevado as the best ski slopes in South America. La Parva makes the lists of PowderQuest, Chilean Ski, and World Snowboard Guide for top Chilean resorts. In close proximity to Santigo, onthesnow.com says it is the perfect day trip resort. However, La Parva also provides off-site condominium rentals for overnight guests. La Parva has slopes for all levels, a ski school, rentals, and perfect powder. Reviewers love the view of the Andes Mountains La Parva provides, but some complain of the parking lot and access to the lifts. A newer resort, Corralco is found on the Lonquimay Volcano in the Andes and is described as "heavenly." The resort was featured by US Ski and Snowboard and is known best for its expert skiing accommodations. The Corralco lodge and hotel are located at the foot of a volcano and are receiving accolades from reviewers. The resort offers modern hotel rooms, a panoramic mountain view from the pool, sundeck, gourmet food, and much more. A resort offering 11 lifts and 32 runs, Nevados de Chillan appeals to the family crowd for its relaxed atmosphere, a mixture of advance free-riding terrain and beginner slopes, and family activities throughout the year. World Snowboard Guide ranks this resort as the second best in all of Chile; however, reviews are mixed about whether people enjoy their experience at Nevados de Chillan.